When nice weather arrives, our minds turn to DIY projects to freshen up our homes. Well, my mind is on house projects at all times—regardless of the weather. I think if a tornado picked up my house, I’d fly through the sky considering my renovation options upon landing. Yes, I realize my issues are better suited for therapy than for my blog. For you normal people with normal thoughts, nothing freshens up a room quicker, more dramatically, and more affordably than painting. I consider paint to be magic in a can. But a fear of choosing colors can prevent people from pursuing even an easy paint project. Aha! Who’s the odd one now! If you happen to be a victim of color paralysis, read on and soon you’ll have the confidence to bring color into your home and your life. Choose colors to match that activity. For instance, avoid bright red or yellow in a bedroom or a space used for reading, study or meditation. 2. How often do you grow bored with your décor? If your answer is “often” (which mine definitely is) then stick to neutrals (tans, grays, taupe, muted greens, browns, and even some blues). This approach allows you flexibility to bring in color changes through your accessories, window treatments etc. 3. What's your lighting situation? If your space is already short on light, then stay away from dark color choices to prevent feeling you are living in a cave. 4. What color is your furniture? Think balance. If you have dark furnishings, try lightening your walls. Lighter furniture? Be daring and try moving toward “the dark side” with your wall color. The key is experimentation: get an inexpensive sample can or jar of paint; paint a sizable test area and live with it a few days. Try to check it at different times of the day so you can see how the natural and artificial light may affect your choice. 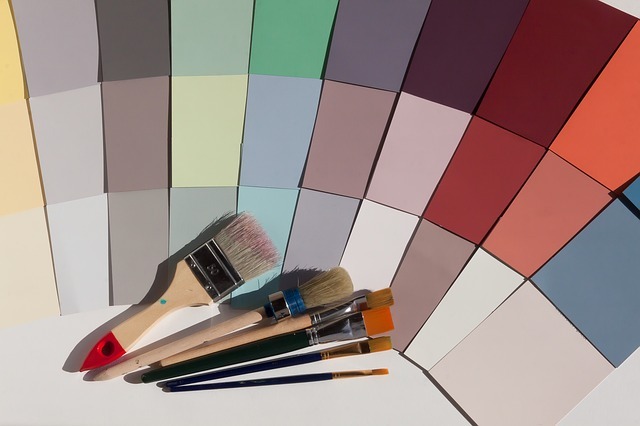 Do this step first to determine that the color you think you want is a color choice that works well in your space. TIP: Sometimes you can return mixed paint for a refund and sometimes you can’t…know this before you make a big purchase, just in case. 5. What colors exist in adjoining areas? Choose colors that look good with surrounding spaces, so you achieve good flow throughout your home. Painting the colors on paper or cardboard can help you determine if they feel good together. It’s your home and only you can decide. Answer these questions and you’re well on your way to a more colorful life, so go be fearless. After you’re done painting, your brushes are rinsed and the paint has dried, stand back and soak up your new space. Remember the next time your room has a case of the blahs—the solution is just a paint can away.